Gov. Gavin Newsom has approved a multimillion dollar project to reduce fuel loads in the high-risk wildfire areas of north Orinda and along Lafayette Ridge, stemming from a grant application submitted to the California Department of Forestry and Fire Protection by the Moraga-Orinda Fire District. According to Cal Fire, California experienced the deadliest and most destructive wildfires in its history in 2017 and 2018, killing more than 100 people, destroying nearly 23,000 structures and burning over 1.8 million acres. Newsom made wildfire prevention a top priority of his new administration, and on Jan. 9 he issued an executive order directing Cal Fire to recommend immediate action to protect vulnerable state communities. The North Orinda Fuel Break project is one of 35 programs that the state agency identified for implementation. "The project is approved and we are ready to go," Cal Fire Deputy Chief Scott McLean said. North Orinda has always been a top concern of MOFD for the threat of a wildfire. "It has many high-value homes, and it's not far from the 1991 Oakland hills fire," said Battalion Chief Jerry Lee, who authored the Cal Fire grant application. "North Orinda is the highest wildfire risk in our district." Lee submitted his grant application in November, requesting $250,000 to implement a hazardous fuel reduction and removal project along Bear Creek Road in north Orinda. 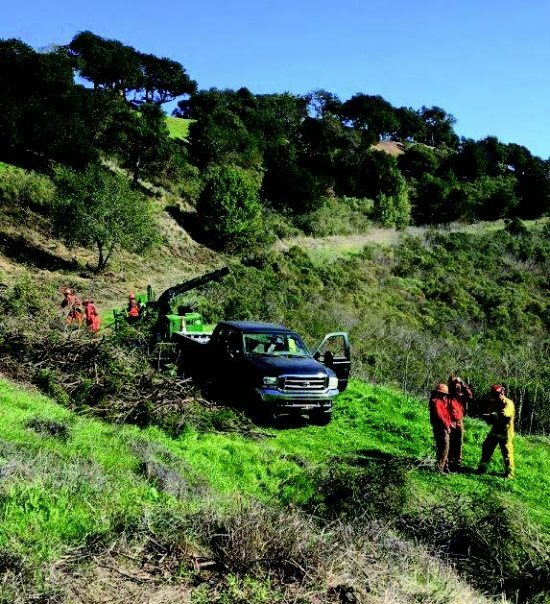 Cal Fire expanded the reach of the project to encompass an 11-mile fuel break from Inspiration Point in Tilden Park, along Bear Creek Road and Happy Valley Road through Lafayette, to the Pleasant Hill Road - Highway 24 intersection, and the agency bumped the estimated cost to $5 million. The completed fuel break will allow more time for evacuation and fire suppression response. Cal Fire used various data points to rank the 35 statewide projects, with the North Orinda Fuel Break coming in at No. 9, scoring at the top for the number of communities at risk and the affected population. "We were fortunate to have submitted a project that was complete and fit the scope of what the governor was looking for," Lee said. As the project will cross jurisdictional boundaries, MOFD plans to partner with the East Bay Municipal Utility District, the East Bay Regional Park District and the Contra Costa County Fire Protection District. "We're not sure how the details will work out yet. We may need to work with the city and property owners to get permits and permissions," ConFire Deputy Chief Lewis Broschard said. That will be a concern for MOFD as well. Fire Chief Dave Winnacker said that the district will be able to mobilize immediately - "One of our strengths is our small size," he said - but the chief is preparing to face potential environmental hurdles from the California Department of Fish and Wildlife, Bay Area Air Quality Management and other entities. Rapid mobilization will be critical, as Cal Fire says in its summary report that the fuel break must be completed in 2019. The project was expected to head to the MOFD board for formal acceptance of the grant money at the March 20 district meeting. 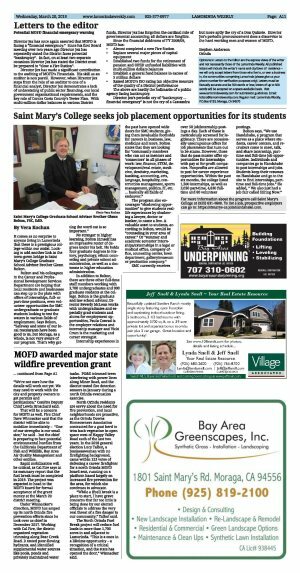 Under Winnacker's direction, MOFD has amped up its north Orinda fire prevention efforts since he took over as chief in December 2017. Working with Cal Fire, the district organized vegetation trimming along Bear Creek Road. It tested poor-flowing hydrants, and identified supplemental water sources like pools, ponds and privately maintained water tanks. PG&E trimmed trees interfering with power lines along Miner Road, and the district tested fire detection sensors in January during a north Orinda evacuation exercise. North Orinda residents are savvy about the need for fire prevention, and local neighborhoods are proactive, as the Orinda Downs Homeowners Association contracted for a goat herd to trim back vegetation in open space west of Happy Valley Road each of the last two years. 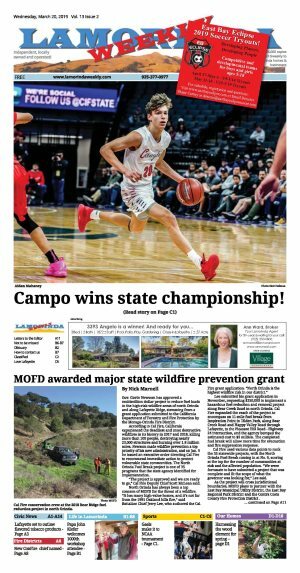 In the 2018 general election Lucy Talbot, a businesswoman with no firefighting background, came within 123 votes of defeating a career firefighter for a north Orinda MOFD board seat, running on a platform based largely on increased fire prevention for the area, for which she continues to advocate. "While a (fuel) break is a place to start, I have grave concerns that far too little is being done by our elected officials to address the very real threat of a fire danger to our community," Talbot said.